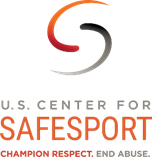 Note in the attached USBA newsletter that "ALL US Biathlon Coaches/Officials and ALL members who have frequent access to athletes must take the US Center for SafeSport’s training by December 31, 2018.” Parents are also encouraged to take the training. Bernd Eisenbichler isn’t saying he has that butterflies-in-his-stomach feeling athletes have before a big race, or even the sleepless excitement kids have before Christmas morning. But he’s definitely eager to see what this new season brings for the U.S. men’s and women’s biathlon teams when they open their world cup circuit Sunday in Slovenia. 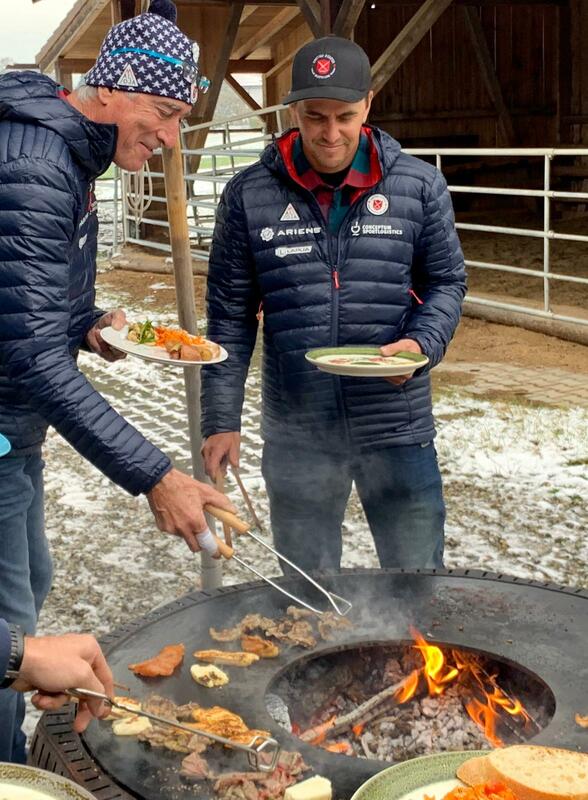 U.S. Biathlon’s chief of sport has brought in new head coaches for both teams — each with new methods, ideas and training approaches. These new leaders will be looking at remade rosters, with younger athletes hoping to replace some veterans that raised the bar for Americans in this sport that is still dominated by Europeans. Three-time Olympic champion Michael Greis of Germany was selected as head coach for the men, with Italian Armin Auchentaller returning to take over the women’s program. He had been the U.S. men’s shooting coach from 2009-14, and most recently led the Swiss women’s team. In addition to the coaching shakeups, there have been wholesale changes across both staffs, including the addition of recently retired American standout Tim Burke, a four-time Olympian and world silver medalist, as athlete development manager. Danika Frisbie takes over as sport program manager. “We have a lot of new energy, a lot of new ideas,” Eisenbichler said. We encourage all parents to complete this course to help us provide the best training experience we can for your child. You can access the Parent Training at no cost. Please take the training today and do your part to create a safe environment for America’s biathletes. The International Biathlon Union, Utah Olympic Legacy Foundation and U.S. Biathlon will partner to host the world’s top biathletes at the BMW IBU World Cup Biathlon February 14-17 on the Olympic venue for the first time since 2001. The event will showcase top athletes from over 30 nations in the final World Cup before the World Championships in Sweden. 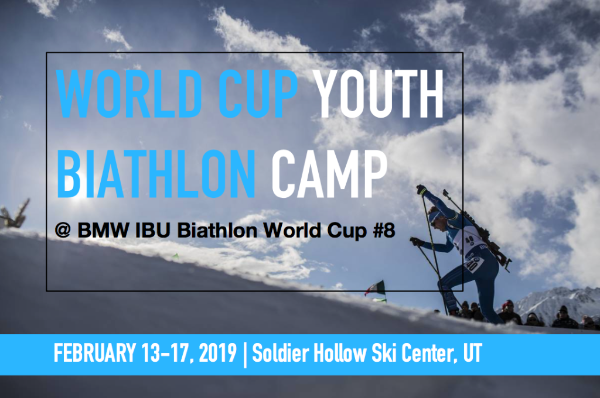 U.S. Biathlon invites youth biathletes between the ages of 14-15 years old to join us for a special 5-day camp program during the BMW IBU Biathlon World Cup North American tour stop in Soldier Hollow (Midway, Utah) this February! This camp is a unique opportunity for young American biathlon stars of tomorrow to experience the world’s biggest biathlon stage with National Development coaches leading the way through ski training, guided spectating, and participation in events leading up to World Cup races. *   Watching World Cup biathlon racing from the coach’s box and out on the ski course! Registration: Register online using this form: https://goo.gl/forms/5pjre8gr391Kq4Vy2 or call Danika Frisbie at (802) 355-9378. The registration deadline is January 13th, 2019. A full camp schedule will be sent out in mid-January. Please contact Tim Burke at burketjb at gmail.com<mailto:burketjb at gmail.com> or Danika Frisbie at Danika.usbiathlon at gmail.com<mailto:Danika.usbiathlon at gmail.com> with any questions about registration or camp details. 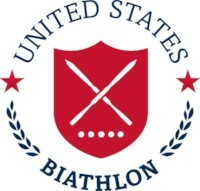 Following the completion of the Rollerski Team Trials last week in Soldier Hollow, Utah, U.S. Biathlon has announced the roster<https://teamusa.us2.list-manage.com/track/click?u=1a409985f2eb363e0e746ef77&id=103c9be077&e=a3586efbc6> for the opening BMW IBU World Cup in Pokljuka, Slovenia, Nov. 30-Dec. 9. The roster includes six Olympians from the 2018 PyeongChang Games. The women’s roster, which has three start spots in Pokljuka, boasts four biathletes with Olympic experience. Susan Dunklee (Barton, Vt.), Clare Egan (Cape Elizabeth, Maine) and Joanne Reid (Palo Alto, Calif.) were pre-qualified for the World Cup roster prior to the rollerski trials. They will be joined by fellow 2018 Olympian Emily Dreissigacker (Morrisville, Vt.). A decision regarding which three athletes will start what races in Pokljuka will be made by the coaching staff at the World Cup. At the conclusion of the Pokljuka World Cup, one woman will be selected to also compete at the IBU Cup #2 in Ridnaun-Val Ridanna, Italy, Dec. 10-16. 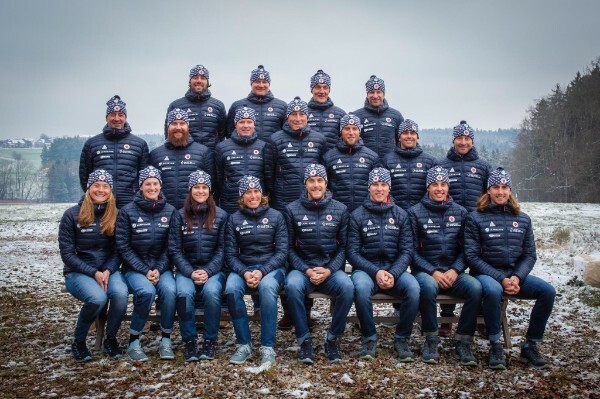 The U.S. men’s World Cup team for Pokljuka will include pre-qualified athletes and two-time Olympians Sean Doherty(Center Conway, N.H.) and Leif Nordgren (Marine, Minn.), along with rollerski trials winner Paul Schommer (Appleton, Wis.) and Travis Cooper(Kenai, Alaska). Because Cooper must compete at the IBU Cup #1, Nov. 26-Dec. 2 in Idre, Sweden, to earn his IBU qualification, Max Durschi (Ketchum, Idaho) will also travel to the World Cup in Pokljuka as a reserve. The men’s team has four start spots at the World Cup. Selected to race at IBU Cup #2 in Ridnaun-Val Ridanna, Italy, on the women’s team were Hallie Grossman (South Burlington, Vt.),Deedra Irwin (Pulaski, Wis.) and Kelsey Dickinson (Winthrop, Wash.). They will be joined by one member of the BMW IBU World Cup team from Pokljuka to round out the four starting spots. 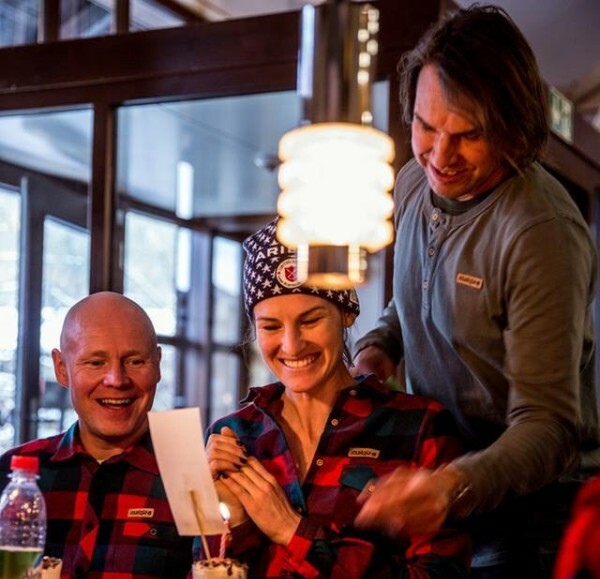 November 19th - Maloja Headquarters welcomed, the U.S. Biathlon Team, and to start things off they dressed up in their new Maloja gear. 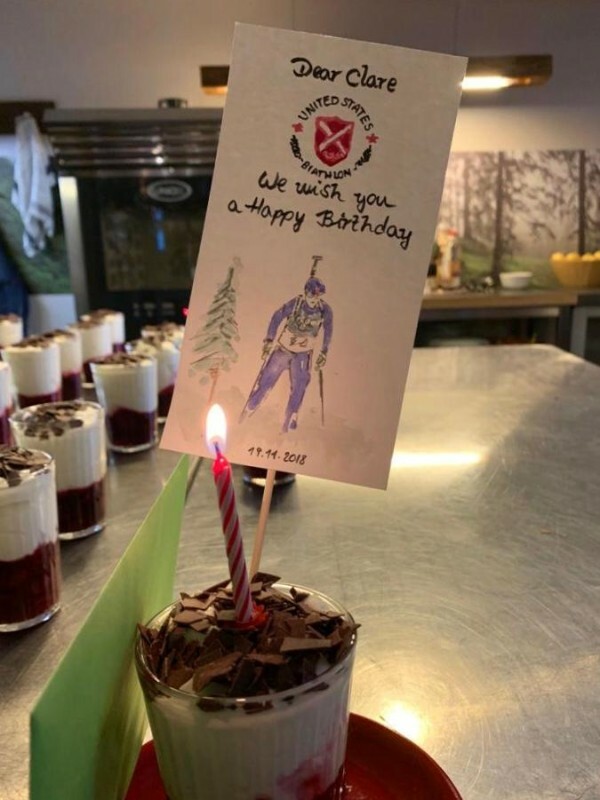 Maloja also had a special surprise for Clare Egan. It was her Birthday ! Maloja, pronounced "mah-low-yah", is a high performance apparel brand specializing in products for mountain sports enthusiasts. Named for the sleepy village and steep slopes of the Swiss Engadin, Maloja was founded with a mission of celebrating the outdoor experience and providing stylish yet functional gear well suited for mountain environments. Headquartered in Bavaria, Germany, the brand is currently distributed worldwide at outdoor specialty retailers and online in North America at www.malojaclothing.com<http://www.malojaclothing.com/>. Warehouses located in California, British Columbia and Germany support retailers ensuring an efficient delivery of goods. 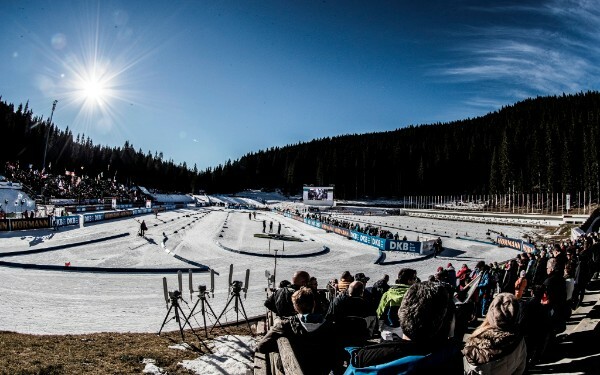 (November 28, 2018) -- The BMW IBU World Cup season begins Sunday in Pokljuka, Slovenia, and NBC Sports will kick off its more than 85 hours of biathlon coverage throughout the 2018-19 season across NBCSN, Olympic Channel: Home of Team USA, NBCSports.com<http://nbcsports.com/>, the NBC Sports app, OlympicChannel.com<http://olympicchannel.com/> and the Olympic Channel app. Team USA is led by two-time Olympians Susan Dunklee and Sean Doherty. Dunklee, who earned silver in the mass start at the 2017 World Championships, is the only American woman to win an individual world medal. Doherty became the first U.S. biathlete to earn three individual medals at a World Championships when he won gold and two silvers at the 2013 World Junior Championships. Doherty has since repeated the feat twice more, at the 2014 and 2016 World Junior Championships. Fans will have two times when they can watch, live streaming via one of NBC’s digital platforms described below or on scheduled TV coverage on the Olympic Channel or NBCSN. Live IBU Biathlon World Cup coverage will be available on OlympicChannel.com<http://olympicchannel.com/> and on the Olympic Channel app for those with a cable or digital media company (i.e. YouTubeTV) package. Live viewing is also available for subscribers to NBC Sports Gold – NBC Sports’ direct-to-consumer live streaming product and the Olympic Channel digital platforms. Another option is to purchase NBC’s “Snow Pass” for $69.99 by visiting NBCSportsGold.com<http://nbcsportsgold.com/>, which provides live and on-demand streaming of all NBC’s snow sports coverage for the season. All linear TV coverage on Olympic Channel: Home of Team USA will stream on OlympicChannel.com<http://olympicchannel.com/> and the Olympic Channel app, in addition to NBCSports.com<http://nbcsports.com/> and the NBC Sports app. The new coverage plan with NBC Sports Group will feature more than 90 hours of biathlon coverage throughout the 2018-19 season across NBCSN, Olympic Channel: Home of Team USA, NBCSports.com<http://nbcsports.com/>, the NBC Sports app, OlympicChannel.com<http://olympicchannel.com/> and the Olympic Channel app. It will include the entire World Cup tour plus the IBU World Championships from Östersund, Sweden March 7-17. BMW IBU World Cup Biathlon coverage will also be available on NBC Sports Gold, NBC Sports’ direct-to-consumer live streaming product powered by Playmaker Media, as well as the Olympic Channel digital platforms. The new “Snow Pass” is available for purchase now for $69.99 by visiting NBCSportsGold.com<http://nbcsportsgold.com/>. 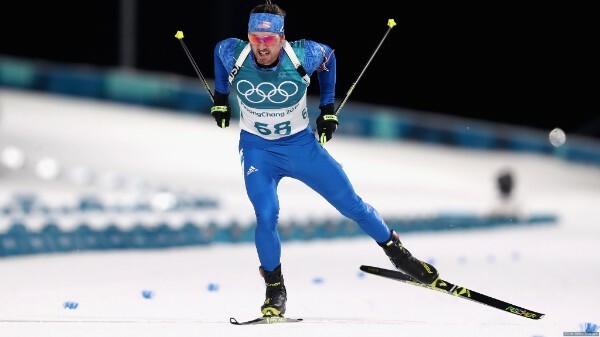 Chad Salmela will reprise his role as NBC Olympics’ biathlon and cross country analyst for coverage of the 2018 Olympic Winter Games: calling both the cross-country World Cup and biathlon’s IBU World Cup. 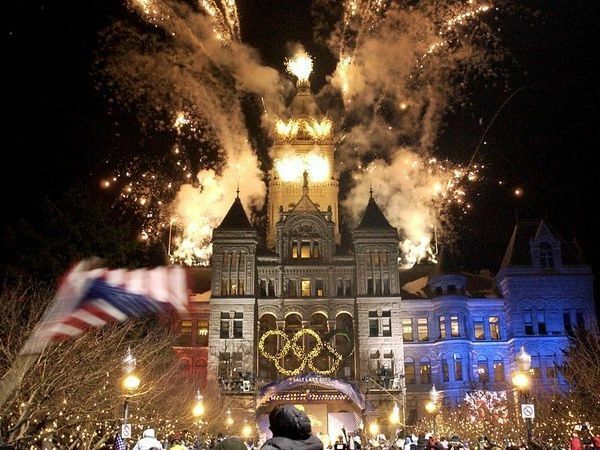 SALT LAKE CITY (AP) — U.S. Olympic Committee officials are touring Salt Lake City as they decide whether to choose Utah’s capital city or Denver as the U.S. bid city for the 2030 Winter Olympics. The visit comes after the USOC toured Denver on Tuesday. The committee will choose between the two cities after Reno-Tahoe dropped out of the running this week, citing the financial burden. Utah Sports Commission president Jeff Robbins says committee members will tour sites from the 2002 Winter Olympics Salt Lake City hosted and meet with state and city leaders. The committee could make a recommendation for the bid city at its December meeting. Salt Lake City says it can host again at a lower cost than other places, but it will have to overcome the stigma from a bidding scandal that marred the buildup to the 2002 Games. 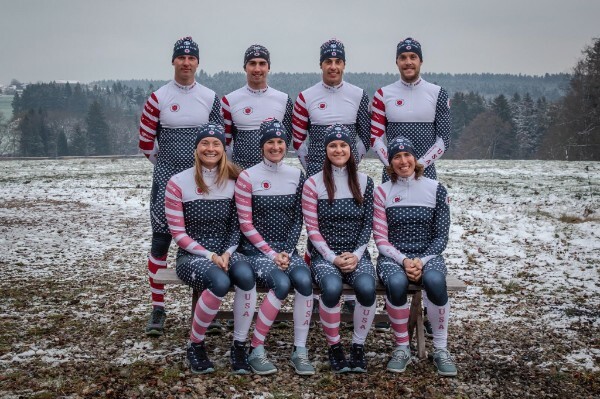 Copyright © 2018 U.S. Biathlon All rights reserved. You can update your preferences<https://teamusa.us2.list-manage.com/profile?u=1a409985f2eb363e0e746ef77&id=9b0660a0d0&e=a3586efbc6> or unsubscribe from this list<https://teamusa.us2.list-manage.com/unsubscribe?u=1a409985f2eb363e0e746ef77&id=9b0660a0d0&e=a3586efbc6&c=3e9fcce6fc>.